There has never been a shortage of books critiquing American government policy or society, but with the current economic crisis, such books now have a lot more cachet. Exposed, by Mark Schapiro, editorial director of the Center for Investigative Reporting, is an interesting mixture of two kinds of exposé: environmental dangers and global policy. 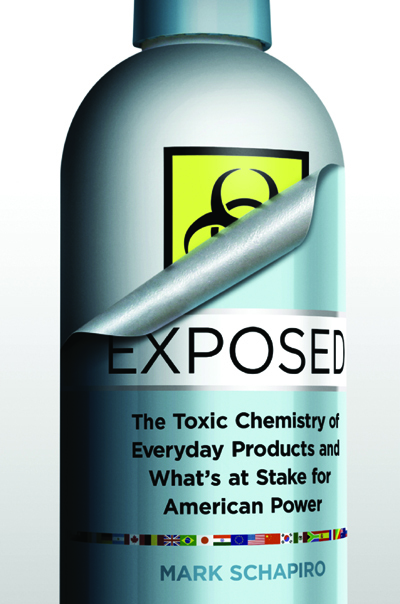 Throughout the book Schapiro hammers away how slow American government has reacted to evidence about toxic chemicals in consumer products, while the EU—which is then followed by other nations—has passed bans that have forced industries to reformulate their products. He argues that companies have started using the EU as their baseline for what they can put in their products, and if this continues, the US will see its global importance fall.